Think of the biggest events of the 1980’s, and what do you think of? Maybe MTV. Maybe the NASA Challenger explosion. Or, perhaps, the assassination attempt on President Ronald Reagan. It’s a huge deal. John Hinkley Jr. grabbed a revolver and fired into the crowd of people, nearly killing the President of the United States in an attempt to impress actress Jodie Foster. Now it looks like John Hinkley might be getting released from a mental institution. 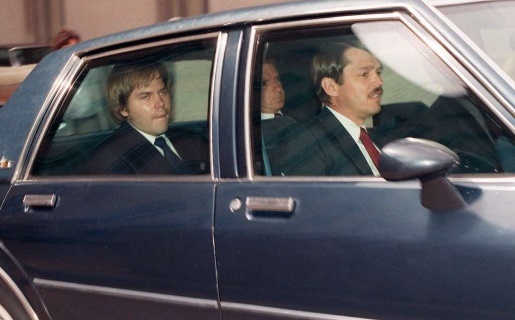 On March 30, 1981, Hinkley fired into the crowd around Ronald Reagan, hitting White House Press Secretary James Brady, DC police officer Thomas Delahanty, Secret Service agent Timothy McCarthy, and President Reagan, with the bullet stopping an inch from Reagan’s heart. Regan is the only US President to survive an assassination attempt, and for his part, Hinkley was found not guilty by reason of insanity and confined to a mental institution since then. For the next year, he’ll be living with his mother in a gated community in Williamsburg, Virginia and strictly monitored by Secret Service and local authorities.